Download courses from Digital Tutors to MP4, AVI for offline viewing. Download online courses from Digital Tutors, eduCBA, Lynda, Udemy, Treehouse, Coursera, Pluralsight, LearnSmart, etc. Trying to download training videos from Digital Tutors for watching offline? Having bought account but only can watch Digital Tutors videos online? Is there any way to capture the courses from Digital Tutors? The following article aims to show you a powerful Digital Tutors Downloader - Bigasoft Video Downloader Pro which helps to download streamings from Digital Tutors and other sites, including eduCBA, Lynda, Udemy, Treehouse, Coursera, Pluralsight, LearnSmart, etc. As an all-in-one online video downloading software, Bigasoft Video Downloader Pro can not only download videos from multiple video sites, but also helps to convert them to MP4, AVI, 3GP, VOB, MPG, MPEG, MOV, etc. So that you can enjoy the downloaded videos on iPad, iPhone, Android smart phones, tablets and so on. Besides, the build-in video recorder allows you to capture live streamings easily and save them to MP4 for playback on most media devices. Download videos from Digital Tutors, YouTube, Facebook, Dailymotion, Livestream, Vimeo, MTV, VEVO, etc. 100+ video sites are supported. Download and convert Digital Tutors videos to MP4, AVI, MOV, VOB, 3GP, MKV, FLV, MPG, MPEG, etc. Exact audio from Digital Tutors training videos to MP3, WMA, M4A, AC3, AAC, etc. Download/convert full Digital Tutors courses in batch. 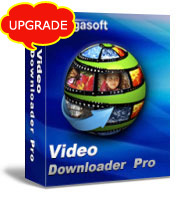 Firstly, download and install the professional downloader - Bigasoft Video Downloader Pro. It is totally safe, free of ads and plugs. Go to digitaltutors.com and copy the URL of the video which you want to download and then paste it to the URL box on the Download panel. Click "Save Folder" button to choose the destination folder for the downloaded Digital Tutors videos. If you prefer to save the tutorial video to another format instead of its original format, please check the "Automatically Convert to" option and click the drop down menu on the right to select the desired output video or audio format from the corresponding category. Click the "Download" button to create a download task which will be listed on Activity panel. You can check the downloading process and once it's done, just right-click the item in Activity panel and choose "Locate Downloaded File" to get the downloaded Digital Tutors video. Digital Tutors provides tutorials and training videos for 3D animation, game dev, design VFX, CAD and more. With Bigasoft Video Downloader Pro, you are able to download any of your training videos from Digital Tutors in only one click. Download and try now.